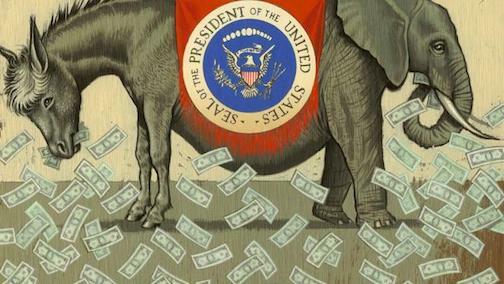 Editorial: The Teachers Unions Have Been Acting Socially Now is the time to Begin to Act Politically in Opposition to the 1%’s Political Austerity Progam! Recently, there has been a series of successful teachers strikes. A teachers strike, in a reality, is in a political fight with the Government of Chicago and the Democratic Party. Behind the scenes, this also a fight against their International Union’s policy of ‘partnership with the boss’ and ‘partnership’ with the Democratic Party. A newly elected local leadership has been immerging, which understands that their struggle is a social struggle. (Teachers’ Movements Gain Community Support by Centering Social Justice)And this new leadership has been reaching out to the needs, of not just their membership, but a fight of the whole working class — of all workers and oppressed minorities to defend quality public education. The above photo demonstrates the mass response of the working class of Chicago. It also demonstrates the political power of the unions in the streets, when they fight for the interests of the entire working class! The Capitalist Class (The 1%) fearing an educated Working Class (Most of the 99%), has been constantly attacking the gains made by the CIO for Public Education as part of the fight to end child labor. In the final analysis, the teacher strikes can only be extended, by starting the formation of a working class party in opposition to the poliical parties the the 1%— the Republicrats! The teacher union does not have great economic power, but it has the potential to build political and social power to defeat the ruling capitalist class. For they have the ability to contact and reach out to the entire working class through their daily connection to every working class and oppressed nationality students, throughout the nation! Capitalism Does Not, and Never Has, Worked for the Masses! 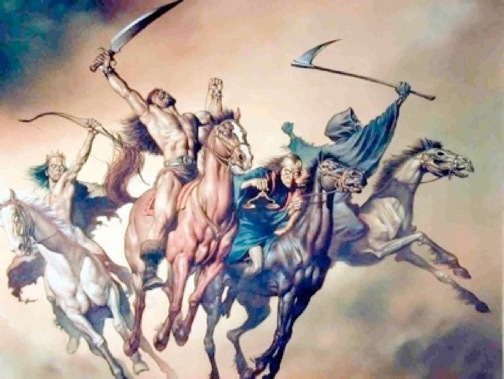 In Its Death Agony, Capitalism Is Traveling About The World, Under Their Austerity Program, Like The Four Horsemen of the The Apocalypse, Spreading War, Famine, Pestilence, and Death. The very future of Humanity Is Now At stake! If the Teachers Unions extend the current social education, to a political education of the whole working class, they have the potential to call for and build an Anti Austerity National Congress National Congress of the Whole Working Class to form a Working Class Party of all workers and oppresses minorities — the 99% majority!